Free 4 pcs lights (2 watts each). Bright. C. Cable for roof mounting: 2.5 mtrProduct Description1. Charging in the sun during the day2. Waterproof Panel, heat resistant and durable3. 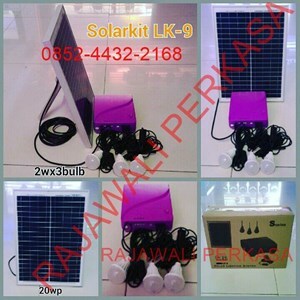 Charging one day can light up for 24 hoursa, Charging with solar cell, without electrical installationb, There is no need to install an electrical cablec, Easy to install & move4. Highly Waterproof Solar Panel (IP65) and heat resistant can let you install outside doors like in gardens, doors, parks, ECT roads.5. Anti-rust material6. Installation is very easy & fast7. 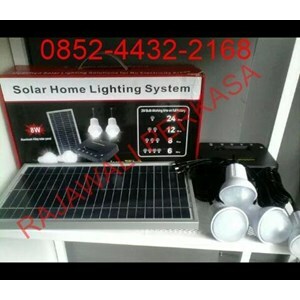 Use High Solar CrystallineFor complete information about solar kits or solar home lightning systems, Jarwinn, contact us immediately and get various special price offers specifically for you.